After years of focusing on sedans over SUVs, Hyundai and Kia are working to fill in gaps in their utility vehicle lineups. One big gap has been the large SUV segment. 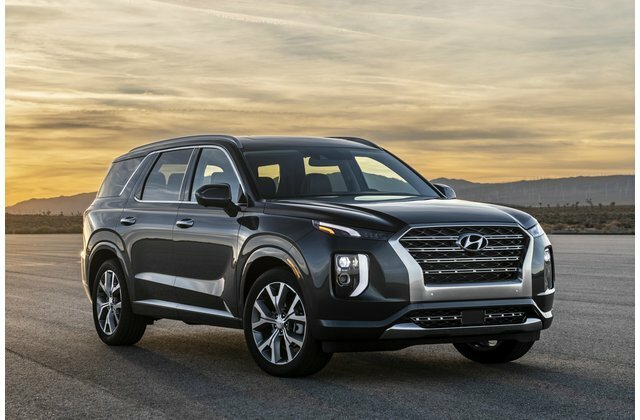 The 2020 Hyundai Palisade and 2020 Kia Telluride arrive in dealerships this year to do battle with the Honda Pilot, Subaru Ascent, Ford Explorer, Toyota Highlander, and other players. Although the two corporate cousins share the same basic architecture, each has its own style. So how do they compare? 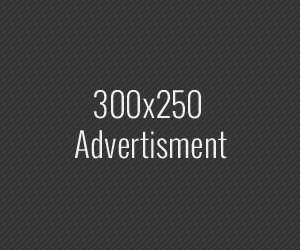 Let’s take a look below. Up front, the Palisade flaunts an oversized grille with a thick frame to match. Like the Hyundai Kona, the Palisade gets a split front lighting setup. The upper light housings are mere slivers, while the lower lamps are stacked vertically. Daytime running lights run in a vertical fashion through the upper and lower housings. The Telluride’s front end is just as quirky. It has block-shaped headlights, and a longer, stretched out grille. Arguably, this grille design makes the Telluride appear wider and more planted than the Palisade. Prominent “Telluride” badging appears above the grille. Both models have similar exterior dimensions. The Palisade measures 196.1 inches in length, compared to the Telluride’s 196.9 inches. 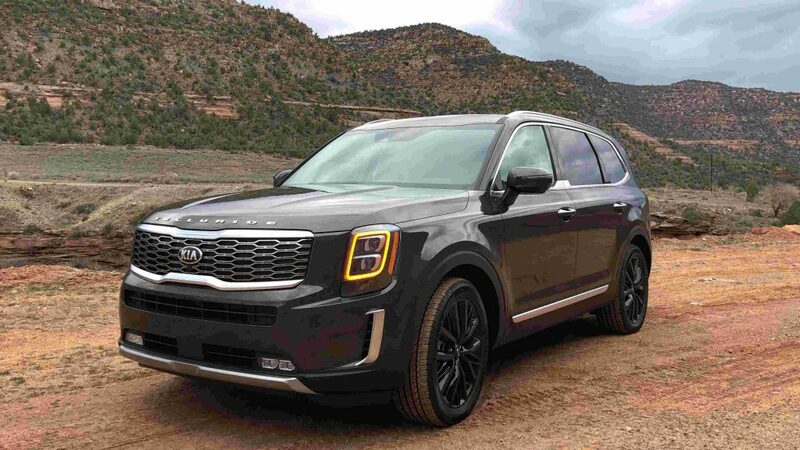 It’s 77.8 inches wide, 68.9 inches tall, and with a 114.2-inch wheelbase, while the Telluride comes in at 78.3 inches wide, 69.3 inches tall, and with an identical wheelbase. The Telluride gets some more body cladding compared to the Palisade, which lends to a more rugged appearance. Whether it has the off-road chops to back up those looks, we’ll have to wait and see. Both models feature boxy back ends, while the Palisade gets a particularly bold C-pillar design. You’ll notice the biggest similarities in the rear. The Palisade and Telluride feature vertical-oriented taillamps that frame the back end. They get “Palisade” and “Telluride” lettering spread out just above the license plate area. The models feature a similar exhaust arrangement as well. Peek inside the cabin, and you’ll see additional similarities. Both models offer a 10.25-inch touchscreen, with air vents and then a row of buttons right below. The Palisade features an electronic shifter, while the Telluride gets a more traditional unit. Storage cubbies are placed differently in the two cabins, with the Palisade having a cutout compartment in the center console. Grab handles on the Telluride hint at the model’s capabilities off the beaten path. Quilted Nappa leather upholstery is available on both the Telluride and Palisade. 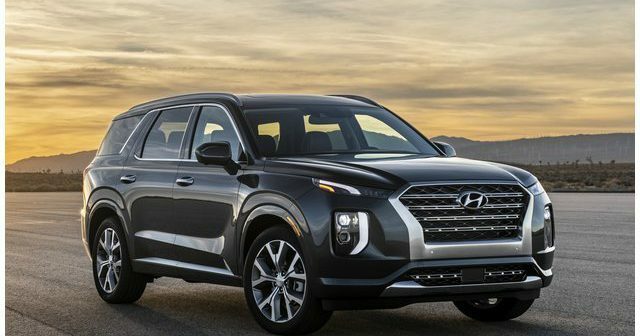 Which large Korean crossover is the style king: the 2020 Hyundai Palisade or Kia Telluride?